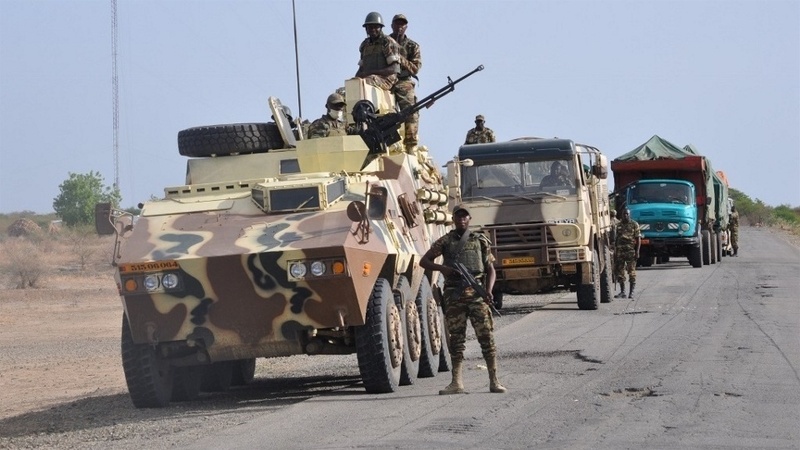 All you need to know about the Cameroonian Armed Forces. Created in 1959 and inaugurated on January 18, 1961, under the appellation of the COMBINED SERVICES MILITARY ACADEMY OF CAMEROON (known by the French acronym EMlA), the history of the Military Academy is closely linked to Cameroon’s military history. Over the years, its mission has remained the same as at the time of its creation: to provide the nation with officers who are up to the task of their calling. As a school of discipline, strength and character, EMIA provides the initial training of officers. During the training, the cadet officer acquires the technique and practice needed to command an infantry platoon. At the same time, he is exposed to the splendours and servitudes of the profession, military ethics, moral strength, discipline, spirit of sacrifice, availability and abnegation in the service of the nation. 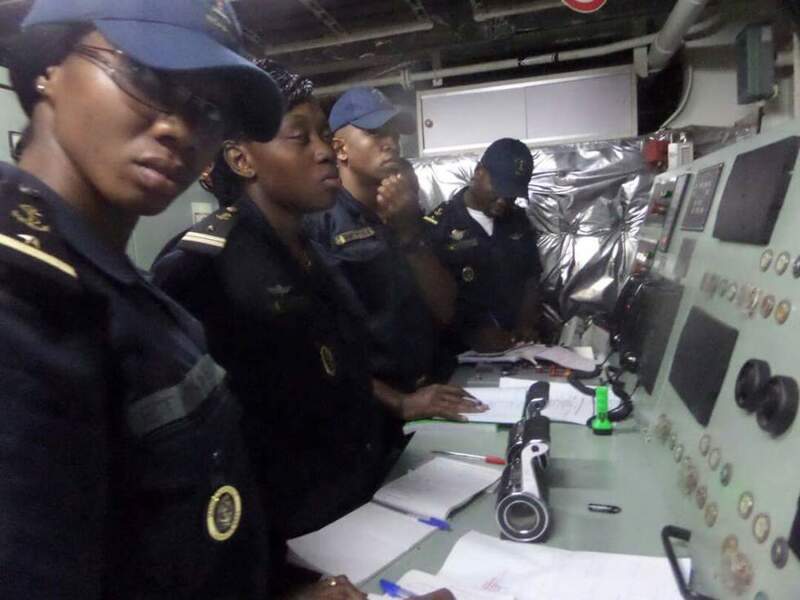 The training that is given to the cadet officers is aimed at providing them with necessary professional skills and an opening to the world, in a constant quest for a balance between thought and action. This training is essentially based on the environment in which they are destined to work, as well as on professional military rules. It provides them with basic background skills and prepares them for future specialization (Gendarmerie, Infantry, Artillery, Amour, Transport, Engineering, Administration, Signals …). This is coupled with general education which complements knowledge previously acquired by the cadet officer in other higher institutions of learning. 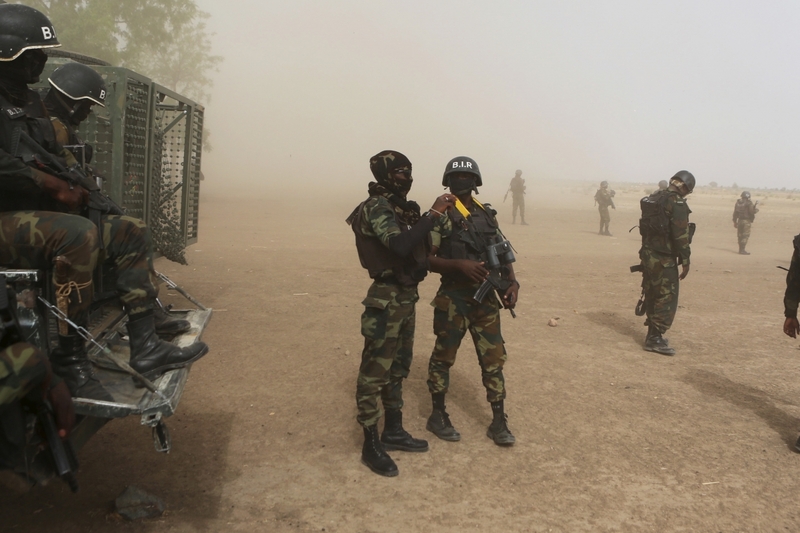 Cameroon’s National Gendarmerie is one of the oldest military units in the country. Although actually created in 1960, its origins go back to January 4, 1920. Due to its military status and its dual military and civilian role, the National Gendarmerie is called upon to “ensure law and order, and to ensure the smooth functioning of State institutions.” The National Gendarmerie carries out administrative police, judicial police and military police duties. It also participates in national defence. Thus, the National Gendarmerie carries out missions for the Minister of Territorial Administration and the Minister of Justice. It is also at the disposal of the heads of other ministerial departments within the general framework of its assigned missions according to regulations. Its scope of action covers the entire national territory, and more particularly, the rural areas and public highways. The more specific missions of the Gendarmerie include protecting and ensuring the internal security of the State and its judicial military police duties. The National Gendarmerie is essentially composed of two subdivisions: the Territorial Gendarmerie and the Mobile Wing. It also comprises several specialised units, such as: the Multipurpose Intervention Unit (GPIGN), Squads to fight organised crime, Research Units, Highway Police Units, Maritime Gendarmerie. Its territorial setup includes Regions, Legions, Groups, Companies and Brigades. The overall network is covered by more than 400 territorial or specialised brigades. The Army is the battle spearhead, the decisive element around which all the other forces rally. 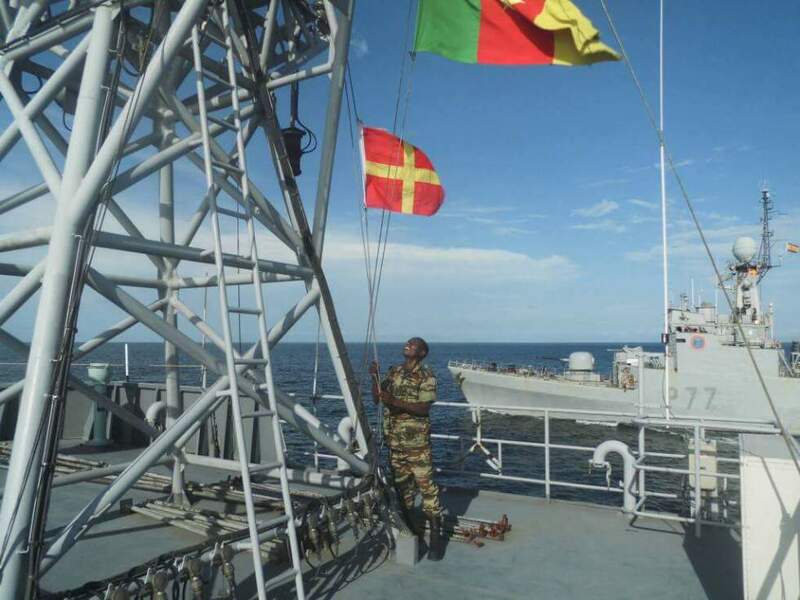 It was created on November 11, 1959, and it is the essential defence component in Cameroon. 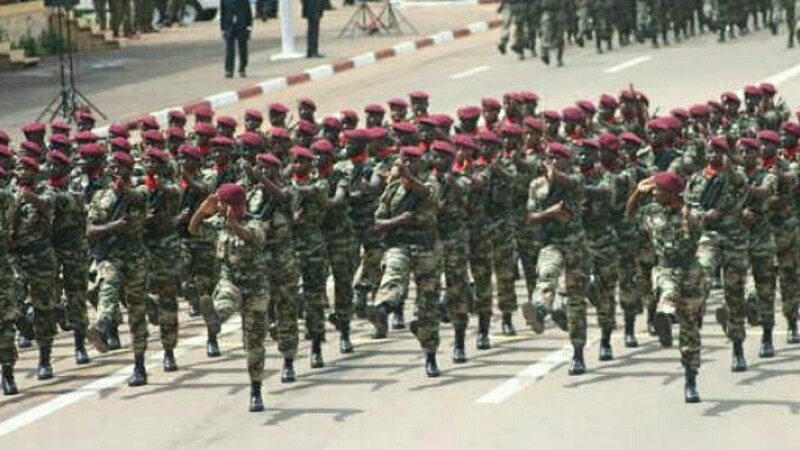 Cameroonian soldiers in an Armed Forces Parade. It is characterised by the flexibility of both its movement and its organisation, as well as by the relative strength of its manpower spread over the three combined military regions of the country in Special Forces Brigades, Light Intervention Brigades, Joint Task Brigades, Support Regiments, Motorised Infantry Battalions and Command Battalions. Its mission is: “To ensure at all times, in all circumstances, and against all forms of aggression, the security and integrity of the national territory”. In addition to this statutory mission, the Army can be called upon to assume certain public service duties, or to participate in humanitarian operations. 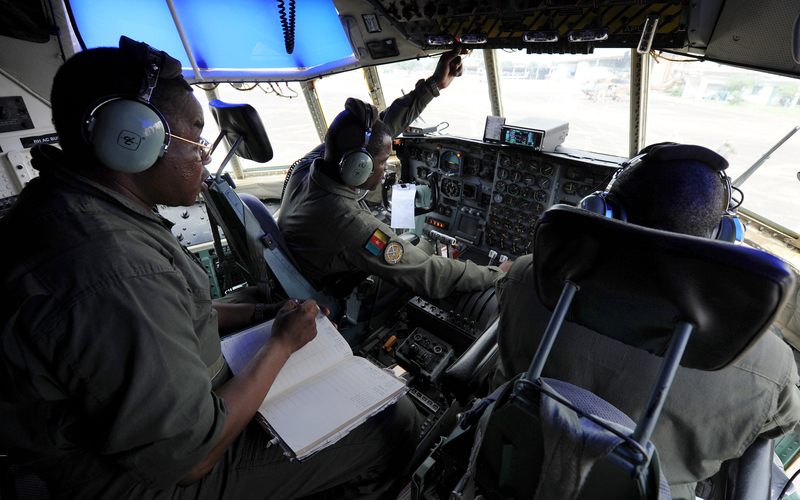 Crew of a Cameroon Air Force C-130 performs pre-flight checklist. 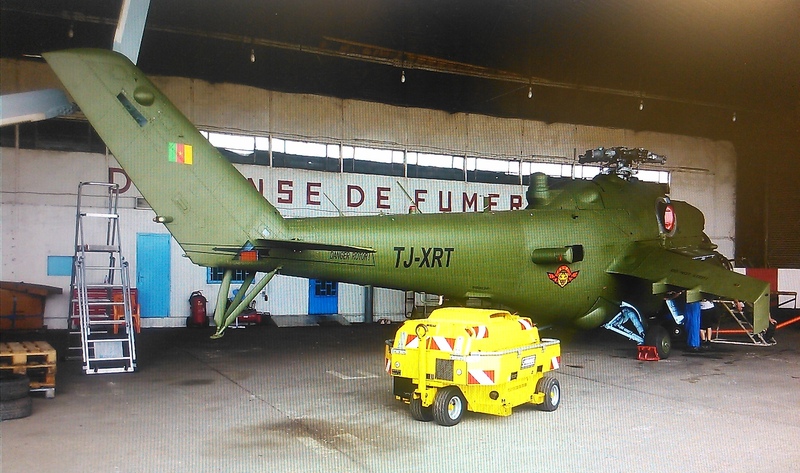 Although its history starts in 1949, with the creation of Transit Air Base No 174 in Douala, the Cameroon Air Force was officially created on June 18, 1966. From its creation to this day, the Air Force has undergone significant developments. The effort that the State devotes to this branch of its defence forces is due to the specific qualities of the Air Force, namely: speed in action and ability to deploy to great distances. Its mission is: “Surveillance, protection, defence of air space, logistical support and assistance to the other forces.” Its scope of action also includes humanitarian and natural disaster management and medical evacuation. 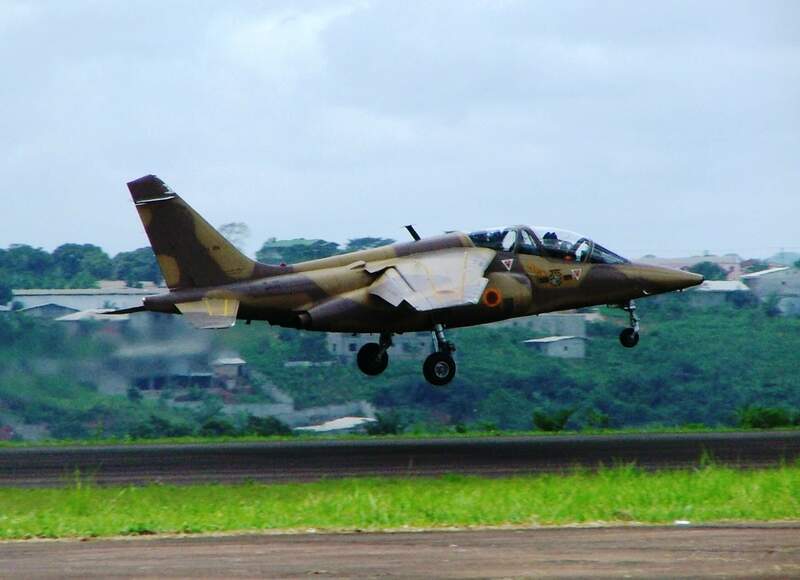 Cameroon Air Force Alpha jet. 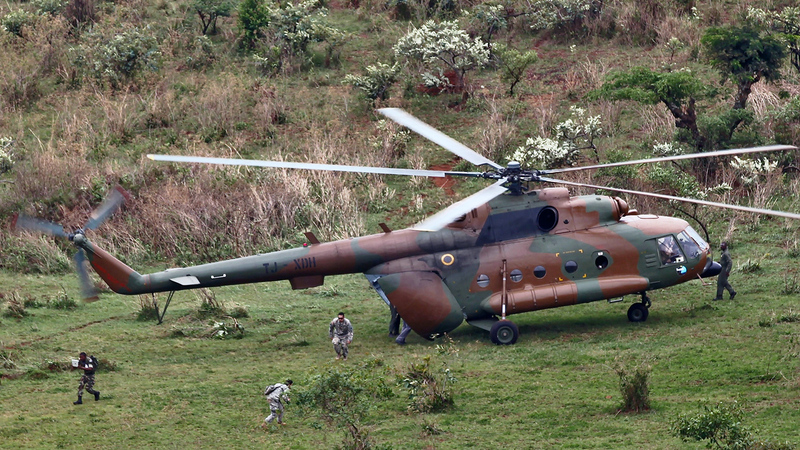 Cameroon Air Force Mi-24 Hind helicopter gunship. 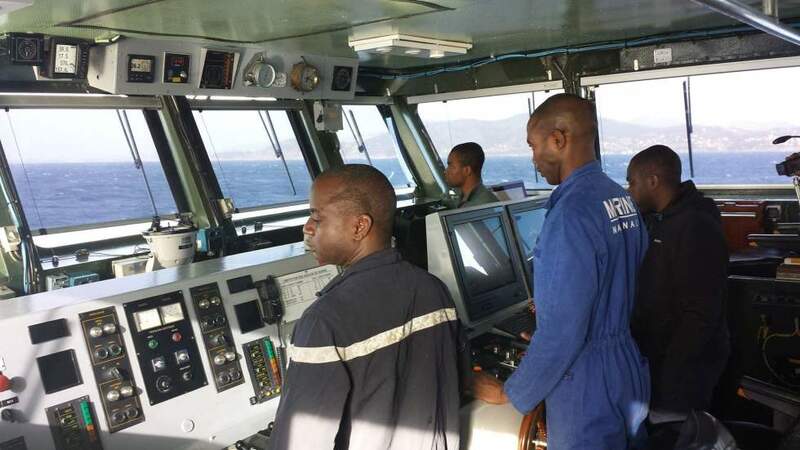 With its extensive coastal zone open on the Atlantic Ocean, and a major exclusive economic zone (EEZ), Cameroon needs to have en efficient Navy. The need for a “permanent presence at sea” justifies the existence of multipurpose forces with a central command structure: Surface Forces, Naval Fusiliers and Frogmen Forces as well as Support Units. 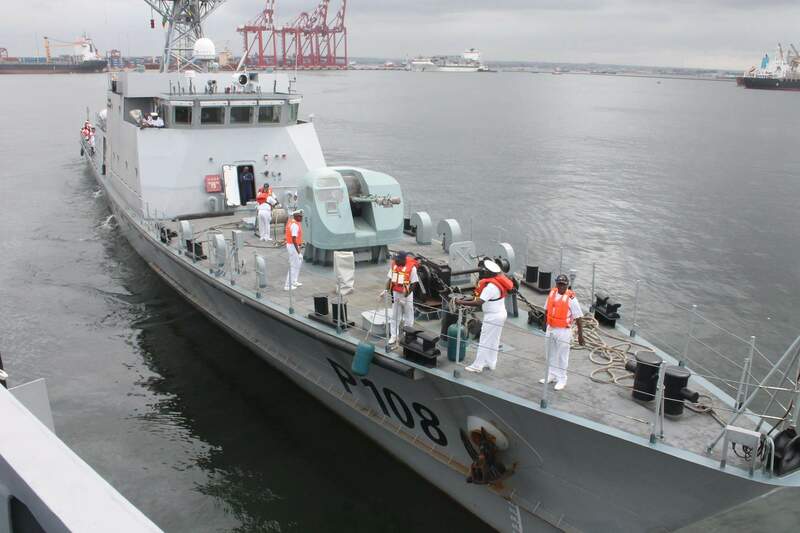 Navy personnel are also spread over the three combined military regions and possess a variety of specialised equipment and material. As inheritors of the communal fire-brigades created to carry out civil protection missions in the cities of Yaounde, Douala, Garoua and Nkongsamba, the National Fire-Brigade was created by decree on April 5, 1986 and reorganised by a decree of July 25, 2001.
fight against fire outbreaks and the after-effects of any type of disaster. provide assistance to persons and protect property and participate in studies and preventive actions within its area of competence. From its creation to date, the track record of the National Fire-Brigade Unit shows a variation of between 4,500 and 6,342 interventions yearly. In 2009, the Fire-Brigade Unit recorded 5,317 interventions. Road accidents, fire outbreaks and more generally, relief to victims, account for nearly 80% of interventions. Cameroon Elite BIR near the Nigerian border. Participation in the re-establishment of public order with a glaring case in point being the February 2008 hunger riots; Security guarantees around oil production in the Gulf of Guinea. Involvement in state action such as the fight against piracy at sea. Next Post Cameroonian Troops Tortured and Killed Prisoners at a Base for U.S Drone Surveillance.